Eugen Klein Sweater 8526, Blue and Off White, Short Sleeves. 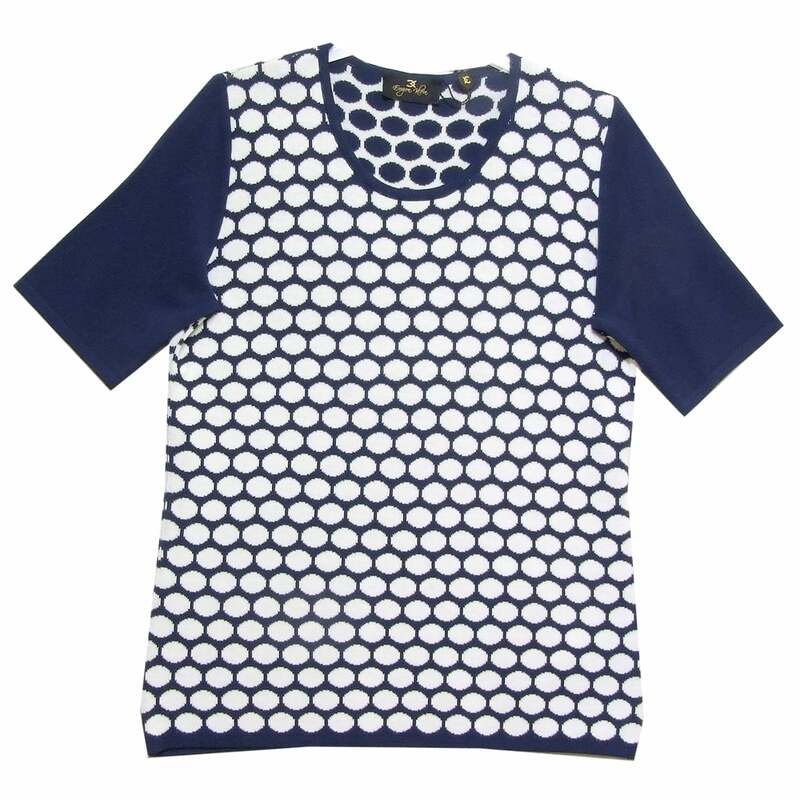 Sweater, short sleeves, round neck, in blue and off white fine knit with and knitted large dot pattern and blue sleeves and trim. 67 percent viscose 29 percent polyacrylic 4 percent micro-fibre.